2018 is the Year of the Dog. 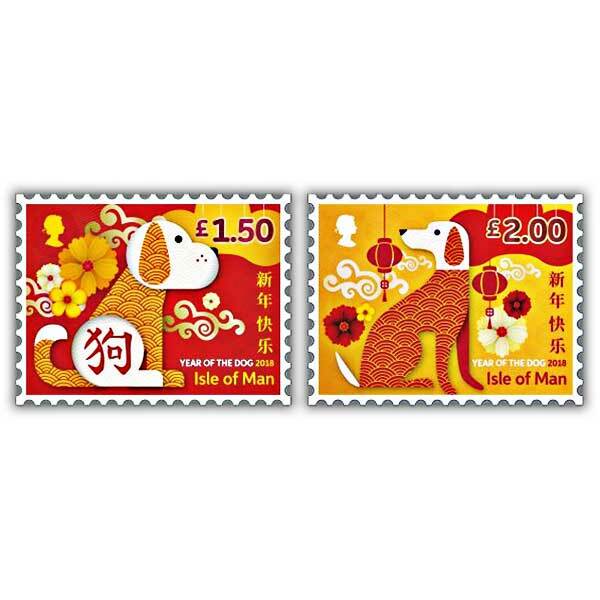 We celebrate with a two stamp collection. As a man's best friend is said to be the dog there is much to celebrate in 2018. These vibrant stamps are beautifully presented on a decorative envelope. The stamps are cancelled with a unique postmark dated for the first day of issue and are complemented with a filler card featuring additional text. 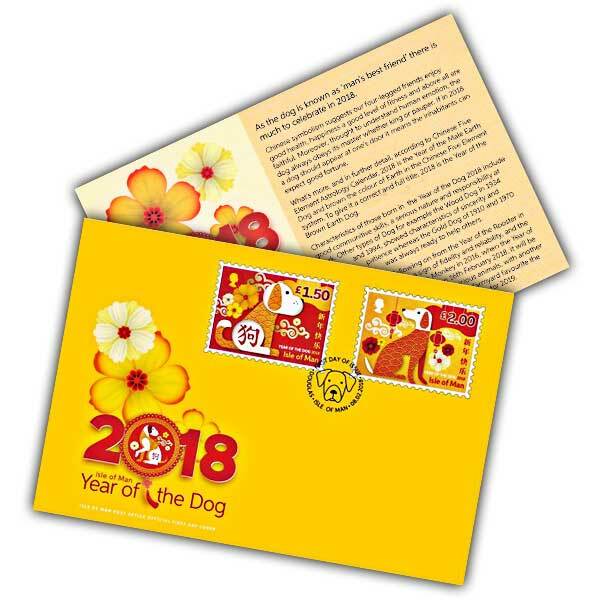 Inning accordance with the Chinese Zodiac, 2018 is the Year of the Dog. We commemorate with a 2 stamp collection. Also, in more detail, in accordance with Chinese Five Element Astrology Calendar, 2018 is the Year of the Male Earth Dog and brown the colour of Earth in the Chinese Five Elementsystem. To offer it a complete and correct title, 2018 is the Year of the Brown Earth Dog. As a man’s best friend is known to be the dog, there is much to commemorate in 2018. If in 2018 a dog ought to appear at one's door it suggests the occupants can anticipate great fortune. Attributes of those born in the Year of the Dog 2018 consist of excellent communitive abilities, a serious nature and obligation at work. Other kinds of Dog for instance the Wood Dog in 1934 and 1994, revealed qualities of genuineness and persistence whereas the Gold Dog of 1910 and 1970 was constantly prepared to assist others. These lively stamps are wonderfully offered on a commemorative envelope. The stamps are cancelled with a distinct postmark dated for the very first day of release and are matched with a filler card including extra text.